Love the latest velvet home decor trend, but aren’t quite sure how to make it work? Let our customers inspire you (like they have us!) with the creative ways they incorporate this fabric into their home. Hint: it involves lots of color! If you’re already committed to the trend and are ready to make a bold statement, consider our Hutton or Murphy sofas for your living space. If you’re a fan of the trend, but want to start small, try adding an accent chair or two, like Otis or Chloe. 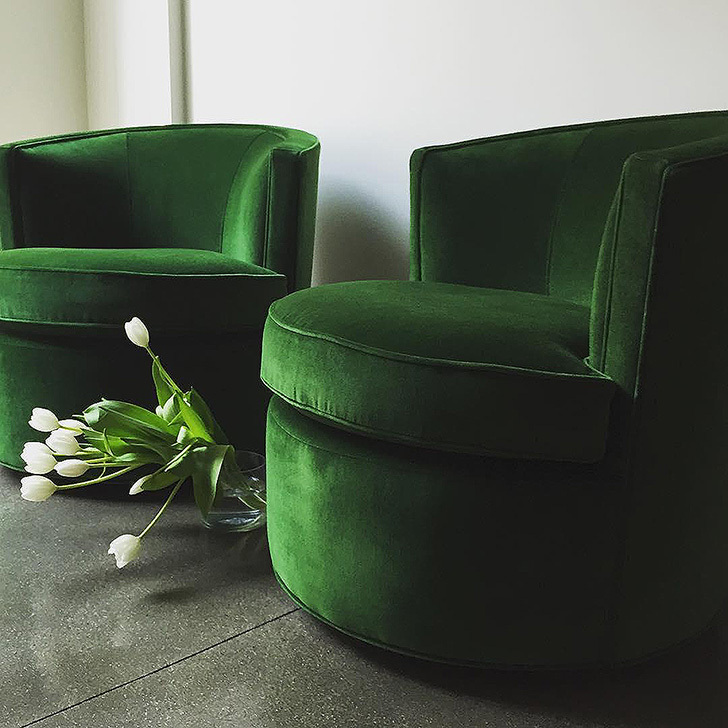 We love how @leeditonhill’s Otis swivel chairs in Vance emerald match the flowers. Have we mentioned these look great in pairs? 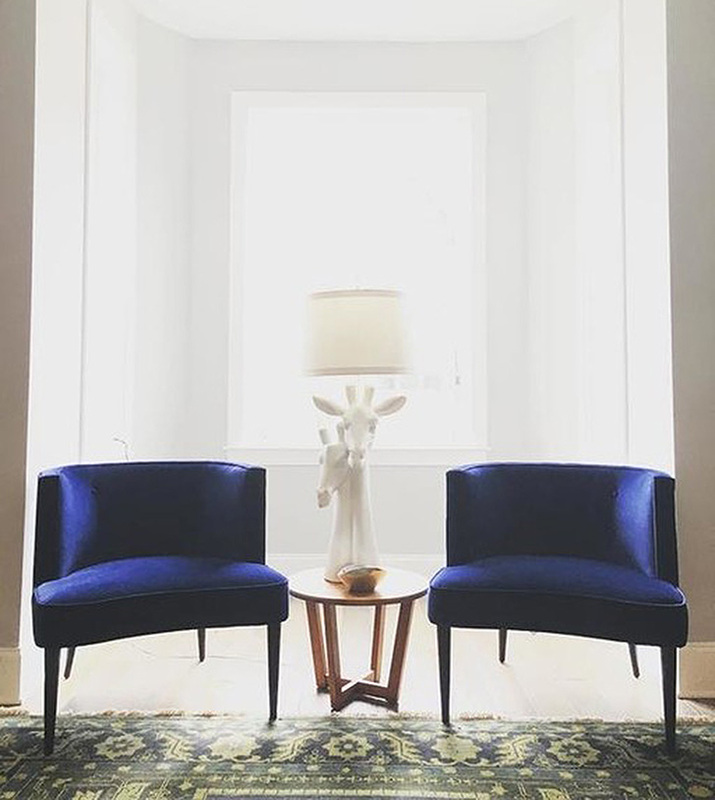 We love @hannahhudsonphotography‘s matching set of Chloe chairs in indigo. Want to give the trend a try but aren’t ready to commit to the size and scale of a sofa or chair? No problem. Our velvet throw pillows are the perfect solution for adding a quick splash of plushness and color to any space. 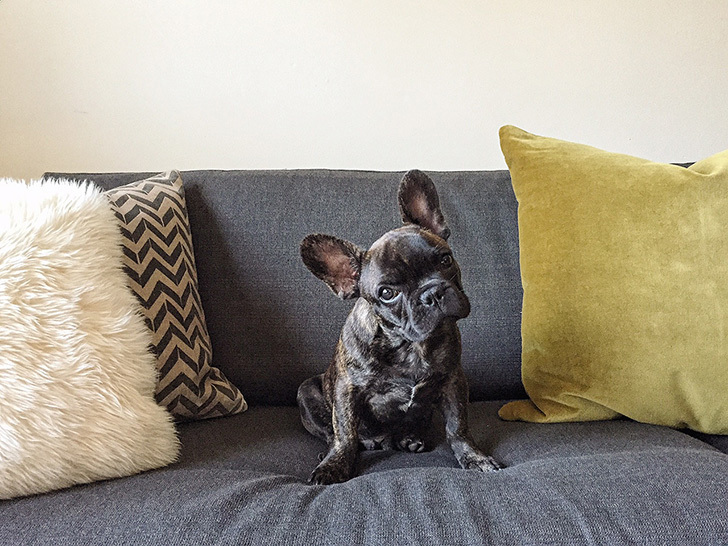 Customer Klloyd shared this adorable photo, featuring our Velvet throw pillow (right) in mustard. 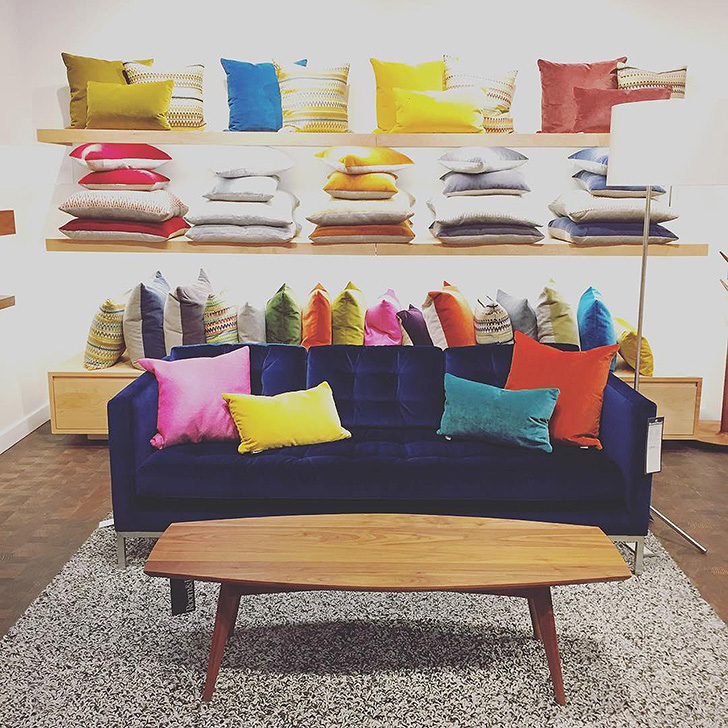 Velvet on velvet at our Seattle store, snapped by @boomtownracer. Have we convinced you to give velvet a try? 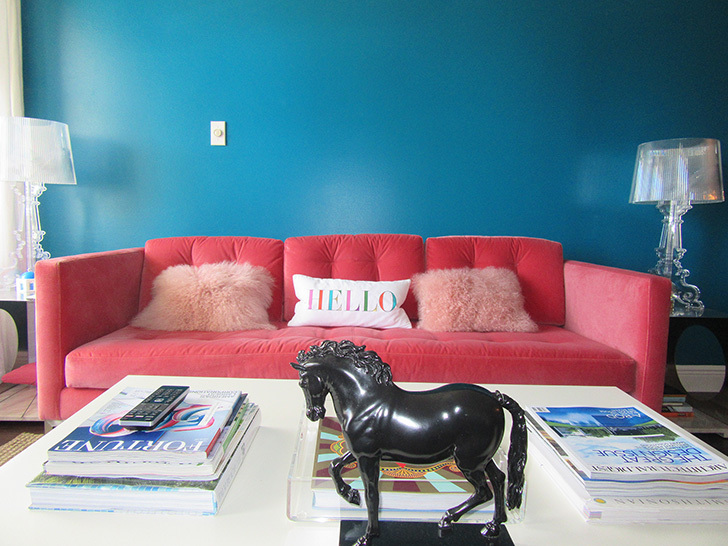 If so, we’d love to see how you style velvet in your home; simply upload a photo to our Customer Photo Gallery. Still in need of more inspiration? Visit our Pinterest board for additional ideas.